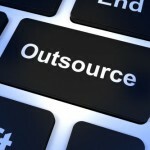 Is Outsourcing Right for Your UK Food Manufacturing Business? Why could you consider the outsourced food sales option for your privately-owned food or drink business, rather than trying to keep everything ‘in-house’? If you’re a small food business or soft drinks supplier here are some of the advantages of outsourcing your sales and marketing which you may not have considered. It often becomes routine to approach the sales roles and overall commercial function in your food or beverage business the same way you always have. If this isn’t delivering the success you need, then perhaps it’s time you sought a second opinion. You won’t always get this from other people within your own organization. This is when the objectivity and fresh commercial ideas from experienced third-party sales and marketing companies can help. Many small and even medium-sized food and drink businesses can’t justify the expense of a full time Director-level Sales manager resource. Outsourced food sales and marketing via the freelance route lets you tap into this calibre of expertise without the overhead of an additional full-time sales and marketing employee. One of the other advantages of outsourcing for small food manufacturing companies is the increased knowledge and know-how of dealing with their target market. Added to this are the established customer relationships a skilled and experienced outsourced food sales and marketing partner can bring you. Both of these factors offer real potential benefits in terms of faster business development for any SME in the UK food and drink industry. 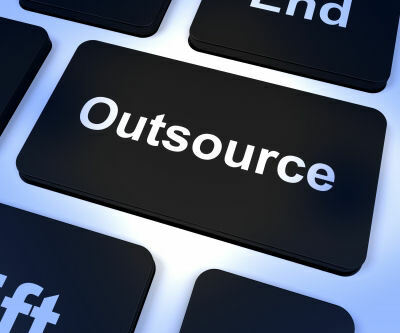 To many small food manufacturing companies, one of the key benefits of outsourcing are the cost implications. Outsourced food sales means you pay only for what you need, when you need it. You can reduce or increase any input to fit the changing needs of your business over time. You can also minimize your costs in terms of hiring, training, and retaining top sales and marketing talent. As if that weren’t enough, the right outsourced sales and marketing partner should also help you over the long term by building a sales and marketing system that can be managed, taught to and passed in-house to your business. This can serve you as the foundation for your sales and marketing success well into the future.